Long before the time of Chivalry Farseer, there was another indiscreet member of the royal line. Princess Caution Farseer, in defiance of her name, was headstrong and willful, destined to fall dangerously in love where she ought not. 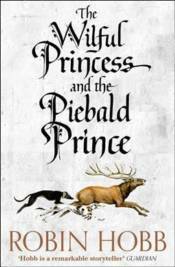 A tale of love and secrets, magic and manipulation, heartbreak and murder most foul: only a true-tongued minstrel can reveal the real story of the Wilful Princess and the Piebald Prince.